Relations between Armenia and Russia are better than ever, and this becomes the reason for all sorts of interpretations in certain circles, Acting Prime Minister of Armenia Nikol Pashinyan said this at the pre-election rally of in Kapan on October 19. 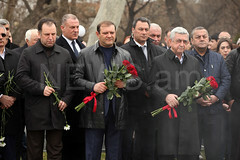 Pashinyan also recalled the attacks against the new Government. 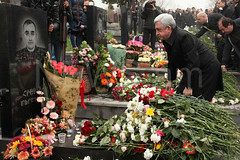 According to him, detractors asserted that the new Government of Armenia will not be able to pursue a competent foreign policy. The prime minister urged not to make pessimistic forecasts, since they will not come true. 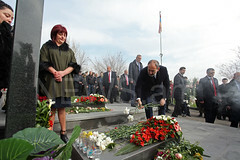 In addition, Pashinyan said that on the day of the gala concert, within the framework of the Francophonie events, there were 5 employees of the State Security Service among 40 heads of state and 40 thousand Armenian citizens in the Republic Square. According to him, the leaders of the countries of Francophone were very impressed by this.